Betsafe – Discover the Legend of Shangri-La™! Claim a Deposit Bonus and take part in two tournaments! Join a wise monk journeying through a peaceful land of cherry blossoms, green valleys and enchanted shrines with the brand-new Netent game: The Legend of Shangri-La™. Get your hands on a superb deposit bonus up to €100 and take part in two week-long tournaments for up to €1,000 in bonus cash and BIG / Free Spins on the game. Try The Legend of Shangri-La: Cluster Pays™, the latest slot addition to the ever expanding Netent portfolio at Betsafe and unveil Shangri-La mysteries with a generous deposit bonus and two tournaments for bonus and Free Spin prizes. OPT-IN on the promotion page, then make a deposit of minimum €10 between 21st September – 4th October 2017 to claim your deposit bonus in the “Available Bonus” section, up to €100 for one deposit during the promotional period. 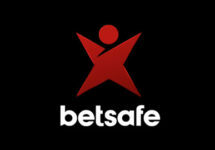 Wagering requirement is 35x bonus amount within three days, subject to the Betsafe bonus terms and conditions. Play at least 20 real money rounds on The Legend of Shangri-La: Cluster Pays with minimum bet of €0.20 per spin. Hit one of the highest average earnings over 20 consecutive rounds to get ranked on the leader board and win Money Bonuses, Free Spins or BIG Free Spins on the same game. Prizes, BIG and Free Spins will be added on the day after the tournament ended. 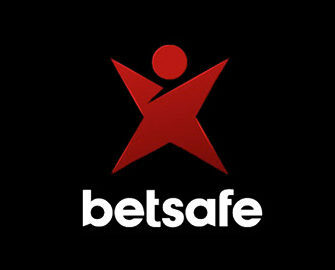 All prizes and Free Spin winnings are credited as bonus with the standard wagering requirement. Customers residing in Canada or who have Canadian dollar as their registered currency are not eligible to take part in this promotion.